Last week was Homecoming Week 2013 at Munford High School. With all five days dedicated to a theme, Wednesday was Super Hero Day. And four Munford students paid tributed to the late 1980s cartoon action heroes the Teenage Mutant Ninja Turtles. From the left are Taylor Hobson (Donatello), Bailee Webb (Michelangelo), Chrissy Cantrell (Raphael) and Kenzie Pugh (Leonardo). TMNT are a fictional team of four teenage anthropomorphic turtles, who were trained by their anthropomorphic rat sensei in the art of ninjutsu and named after four Renaissance artists. From their home in the storm sewers of New York City, they battle criminals, evil overlords and alien invaders, all while remaining isolated from society-at-large. The characters appeared in comic books before their expansion to cartoons, video games, films, toys and other general merchandise. During the peak of its popularity in the late 1980s through early 1990s, the franchise gained considerable worldwide success and fame. 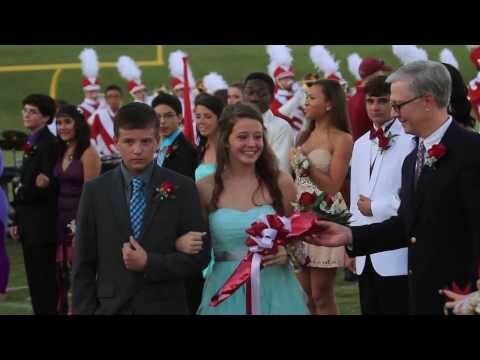 Homecoming concluded Friday night at the Munford Football Stadium with the crowning of Lexie Gillmore as the 2013 Homecoming Queen escorted by Aaron McKinney. Gillmore, the daughter of Brenda and Marney Gillmore, said she was shocked by winning the honor and is glad to be primently connected with her high school.